There are LOTS of motivational stories/photos to share today, so I'm not even going to bother with an intro. Enjoy! Brittney ran her first 5K race on Saturday! She states (as written on her shirt), "I run slower than a herd of turtles stampeding through peanut butter but I run!" 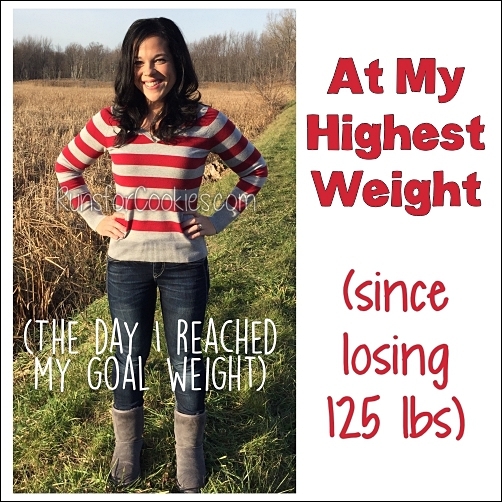 Through training, she's also lost 20 pounds! 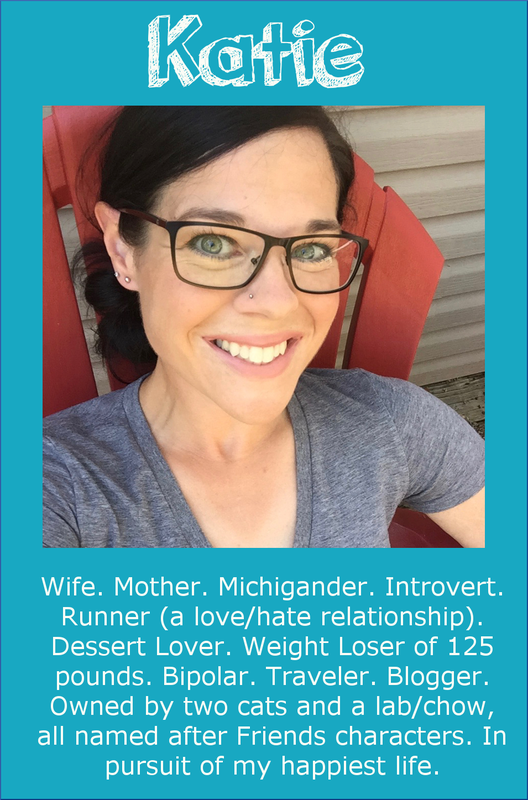 She wants to let everyone know that signing up for your first race is like stepping into a different world (and I have to agree!). Lyndsey's daughter, Ella, ran her first one-mile race, and Lyndsey ran it with her. Usually, Lyndsey runs the 5-mile race, but Ella wanted in on the action this year, so the two raced together. Ella was VERY proud of the ribbon she earned! Colleen and her friend Cathy did the Diva Dash this weekend, despite EIGHT of their teammates backing out! 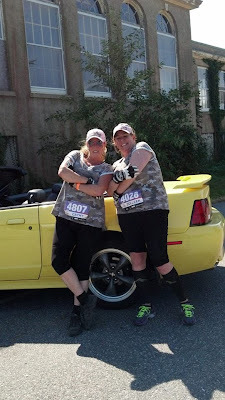 This was her first race, and she said it would have been easy not to go, but she and Cathy completed the 5K obstacle race together. Heather just ran her first 10K race! She set a goal of 1:10, and, despite the heat, ended up finishing in 1:06:54. 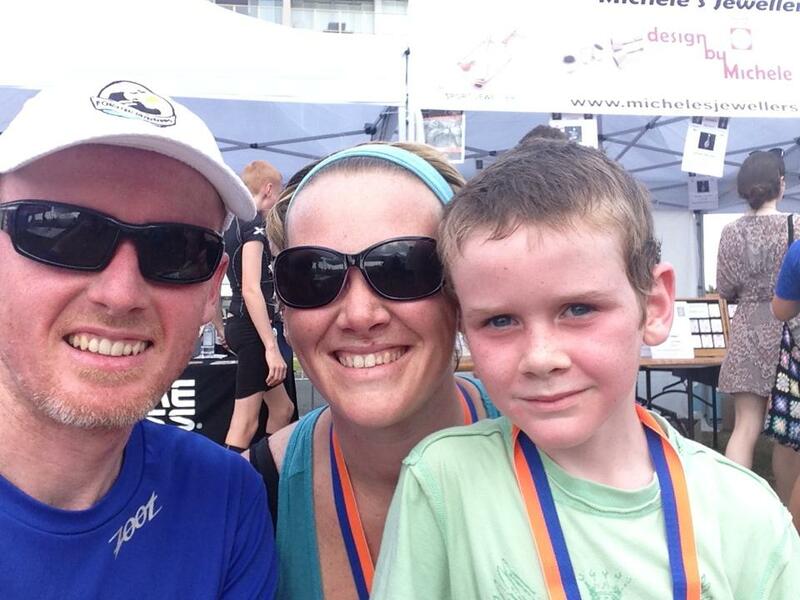 Her husband ran the 10K as well, with a PR of 44:30; and her 7-year old son completed the 5K! Ivayla was super proud to have run nine miles, her longest distance to date. 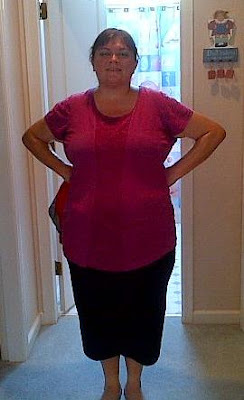 She's also reached 20 pounds lost, and is very proud of the visible progress in her photos! 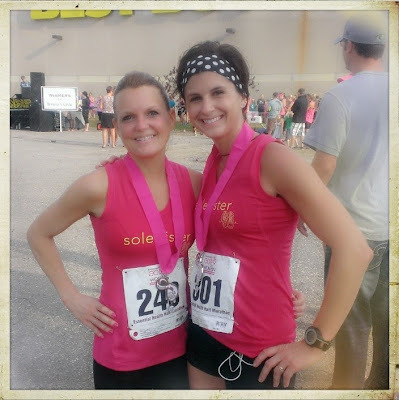 Jess (on right) ran a PR at her half-marathon this weekend, finishing in 1:47:15! She was paced by her friend Amy, who helped her to stay positive and push on throughout the race. Kendall ran her longest run to date this weekend--a 14K point-to-point race that went over two bridges! 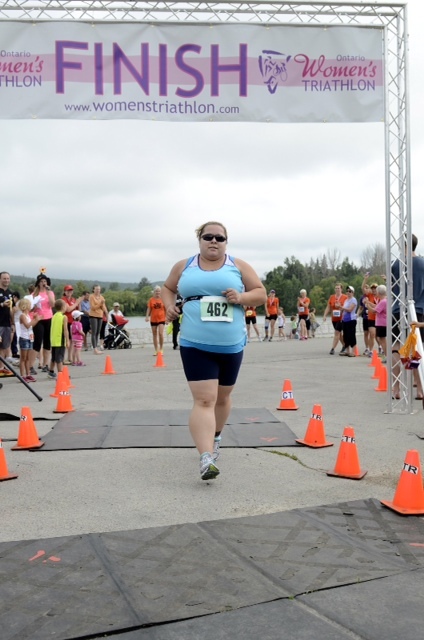 She's training for her first half-marathon at the end of the month. 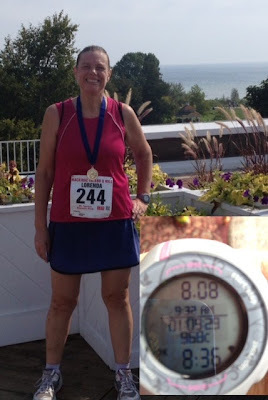 On Labor Day, Kristen ran her second half-marathon! She was hoping for a PR, but Seattle had unexpectedly hot weather that day, and she was upset when she realized it wasn't a good day for a PR. But nevertheless, she finished with a smile on her face as her family cheered her on at the finish line. 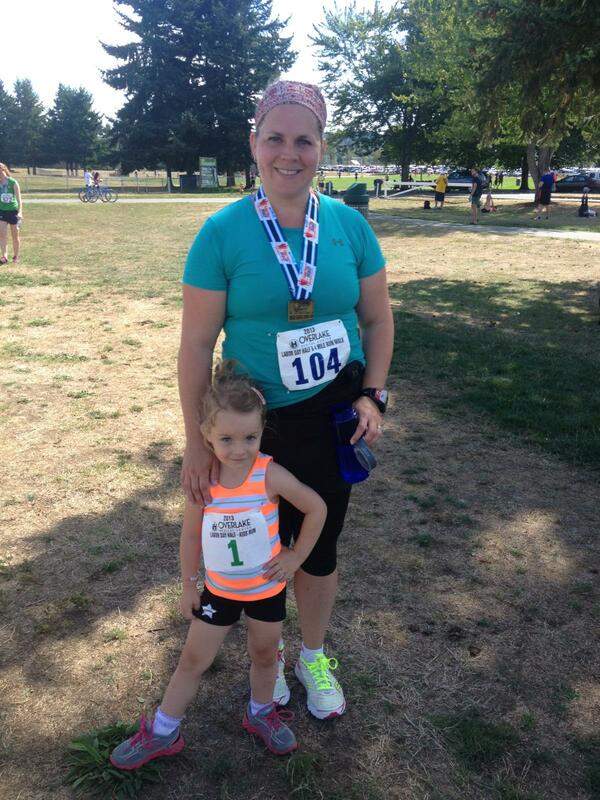 Her four year old daughter completed her first kids' race that day, too! Lesleigh ran her first half-marathon this weekend! 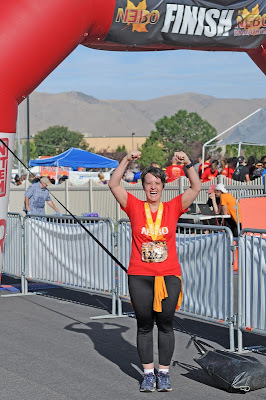 She said it was a lot harder than she'd expected--at mile 9, she felt fantastic, but at mile 11, she felt like she would be lucky to crawl across the finish line. She finished in 2:16:30, coming in under her goal of 2:20! 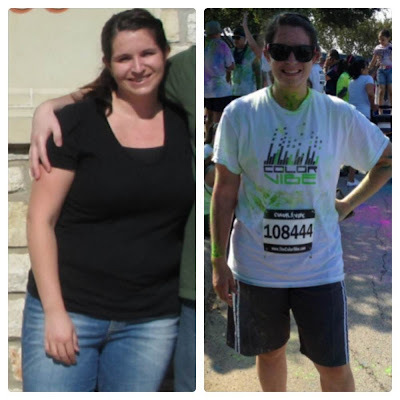 She just started running a year ago, after her weight loss hit a wall; she has lost a total of 70 pounds to date, and just hit her Weight Watchers Lifetime weight a few days before her race. Lorenda spent her 51st birthday running the perimeter of Mackinac Island! It was an 8-mile race, and she had a secret goal of 1:10 (8:45/mi pace), as well as a SUPER secret goal of an 8:40/mi pace. She finished in 1:09:24, which is an 8:40 average pace! You would never guess she's 51, because after the race, she biked all over the island for two and a half hours, and then went on a ninety minute walking tour of the island. She followed up the next morning with a four mile run. I'm exhausted just typing all that! Marija's e-mail and photo actually brought tears to my eyes. She just completed a duathlon! It consisted of a 2.5K run/walk, 10K bike ride, and 2.5K run/walk. 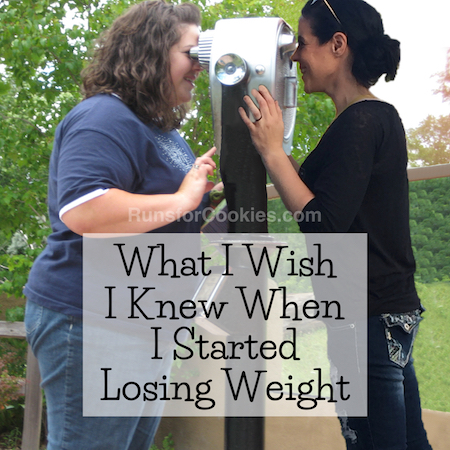 She said that she came in last place, but she never would have imagined that she could do something like this at 230 pounds. 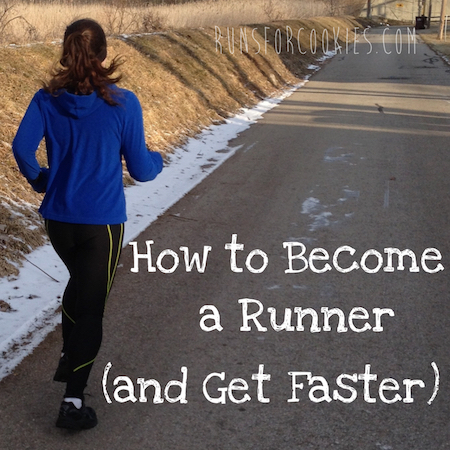 She already has a goal for next year--to run the distances instead of run/walk them! Nicole finally felt a "runner's high" after completing her first 10K this weekend! 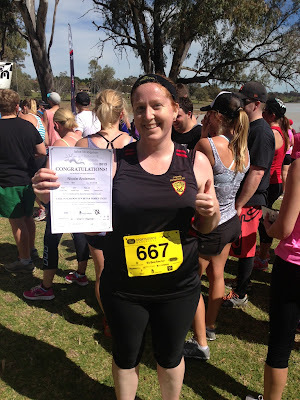 In November, she completed a 5K in 45 minutes, but she finished her 10K in 1:07:36. 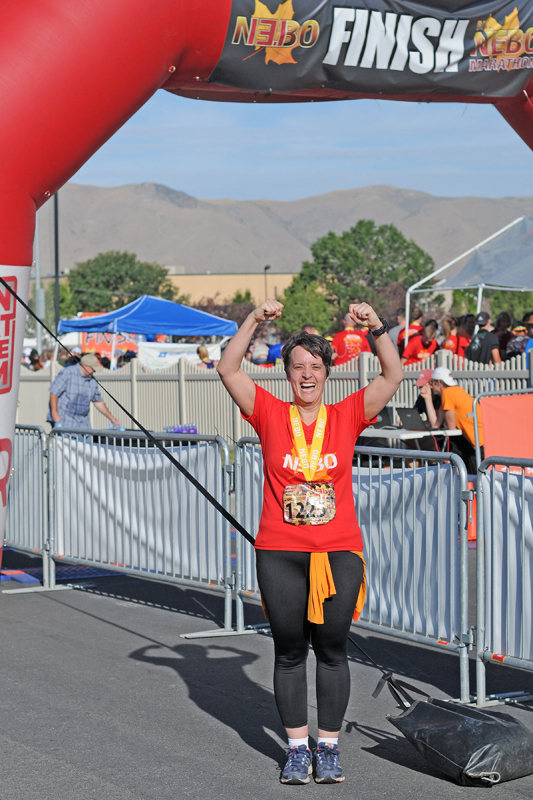 She felt fantastic, and crossed the finish line with a huge smile on her face. She's already looking forward to challenging herself again. 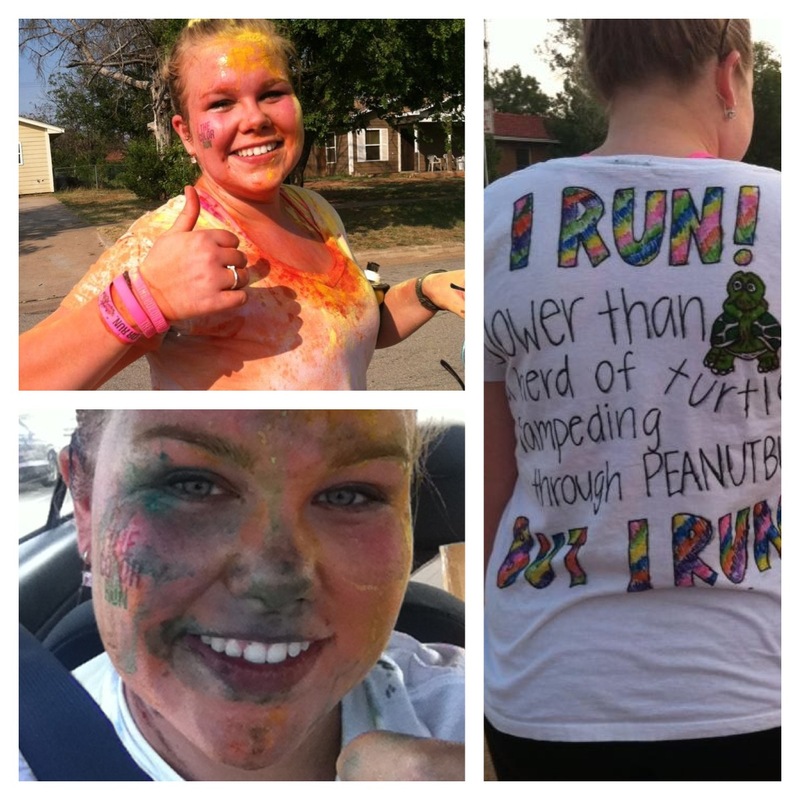 Stephanie just completed her first 5K race! 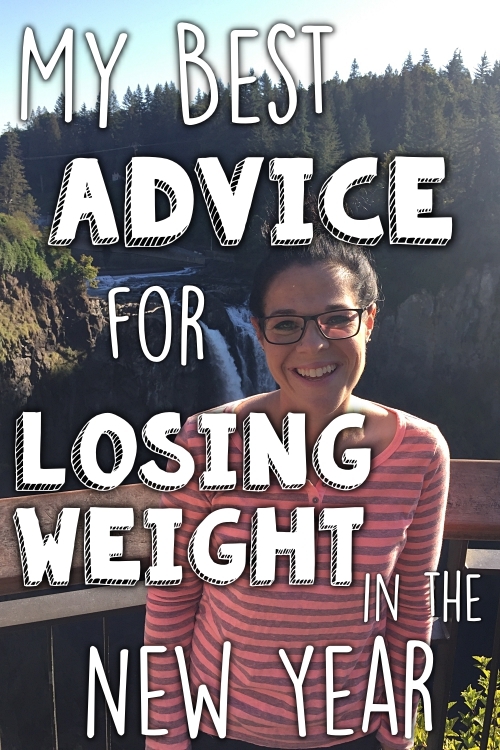 She started working on losing some weight at the beginning of the year, but wasn't whole-heartedly into it. She finally got the determination she needed, and started working her best to drop the pounds. 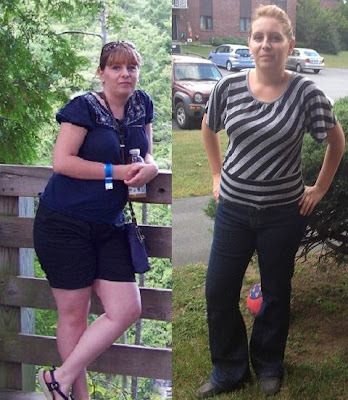 She's lost 23 pounds so far, and has discovered that she loves BodyCombat and BodyJam classes at the gym, as well as running. She's hoping to run a half-marathon by the end of the year! Court has completely fallen in love with Zumba, and at her second class in January, she told her instructor that she'd soon see her 50 pounds lighter. She has now lost an amazing 67 pounds through Zumba and Weight Watchers! 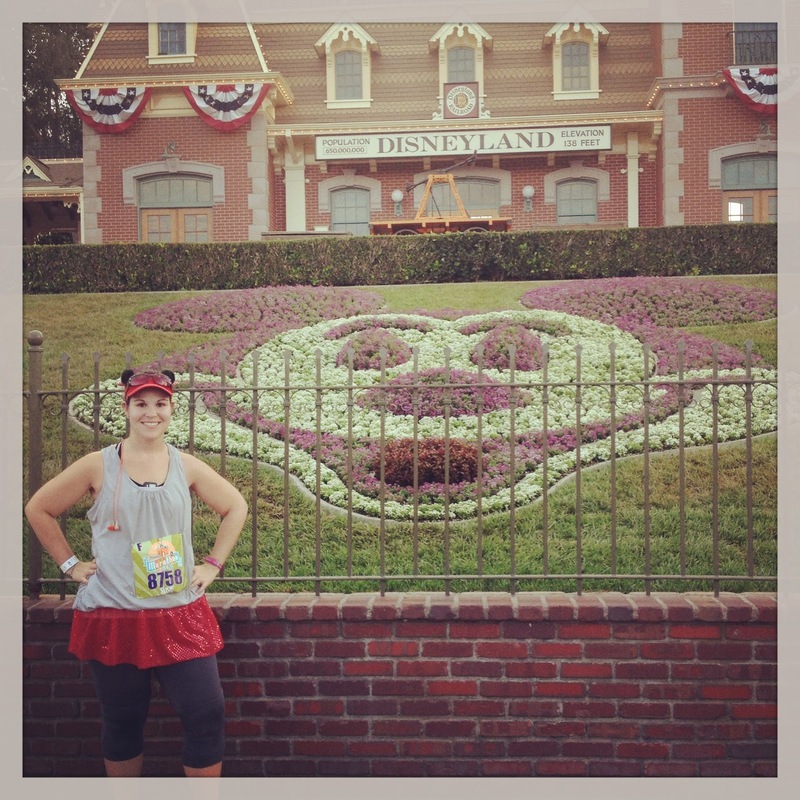 Susie just ran her first half-marathon at the Disneyland Half Marathon weekend! She is a self-proclaimed "Disney nerd" and had a blast running through the parks while no one else was there. She loved seeing the cast members along the way, cheering on the runners, and there were characters to stop and take pictures with. She really enjoyed the race, and plans to do it again next year! 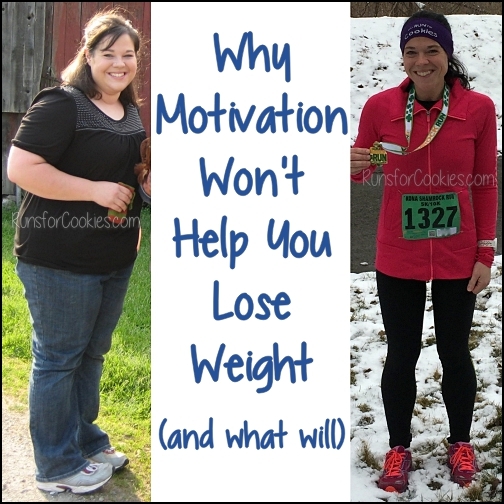 Don't forget to check out more motivating stories on the Motivational Monday Facebook post! Thanks for sharing such an awesome inspirational post. So much motivation! You all inspire me! Thanks for sharing my brag!! Everyone up there is to be congratulated!! 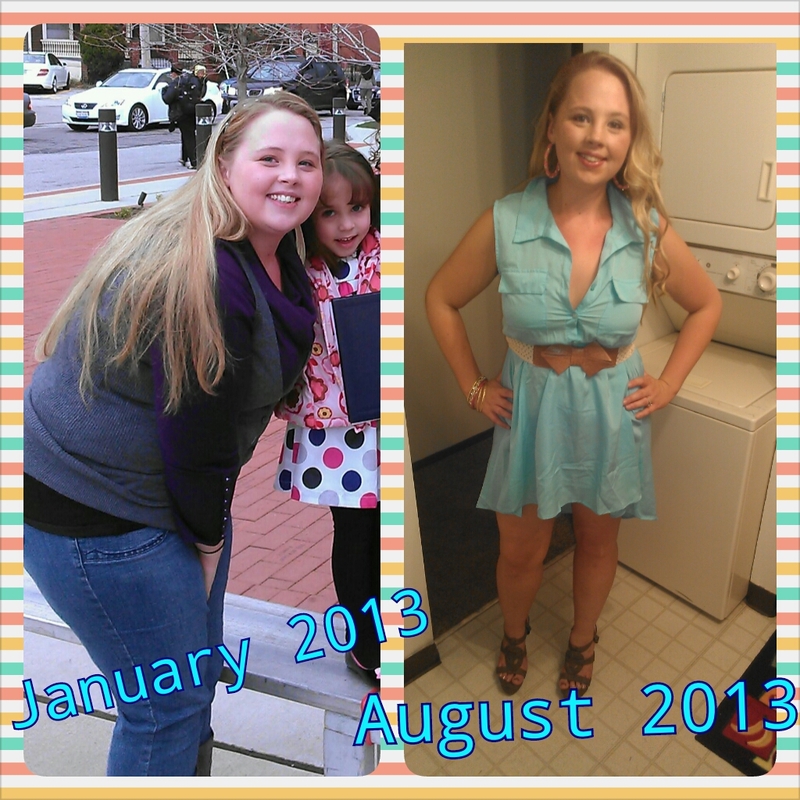 Awesome accomplishments!! Thanks for sharing mine! It's pretty good company to be in :D I love seeing everyone's stories up here as we all have different goals but we all put in our very best.